What Makes a Hurricane, and Why Do They Seem to Love the Caribbean? Why do hurricanes tend to hit the Caribbean? Without getting too technical, hurricanes form around areas of extremely low pressure over warm ocean waters (like those in the Caribbean and South Atlantic) in the summer and fall. Most Caribbean hurricanes actually begin life as tropical waves or depressions over the eastern Atlantic (sometimes off the west coast of Africa) and follow the trade winds west, gathering strength and often reaching their peak of power in the Caribbean basin. Occasionally, storms may also form over the Caribbean itself. When a tropical depression strengthens to have sustained surface wind speeds of 39 mph around its center, it is designated as a tropical storm and given a name by the World Meteorological Association. The first storm of the season is given an "A" name, and naming continues through the alphabet: if you see a Hurricane Zeke, you know it has been a busy hurricane season! A storm is designated a hurricane (also known as a tropical cyclone) when its sustained surface winds reach a speed of 74 mph. A storm with this wind speed is called a Category 1 hurricane under the Saffir-Simpson scale; storms are rated up to Category 5, which are devastatingly powerful storms with sustained winds of 155 mph or more. The risk of hurricanes varies widely from Caribbean island to Caribbean island. Bermuda, like Miami, has about a one-in-four annual risk of being affected by a hurricane; the odds for Nassau, Bahamas are about one in five. But the islands of the southernmost Caribbean—such as Aruba, Barbados, Curacao, Bonaire, Grenada, and Trinidad and Tobago—rarely ever get hit by hurricanes: Bonaire, for example, has just a 2.2 percent annual risk of being affected by a hurricane, making your odds about 50-1 against a storm interrupting your vacation. Likewise, the islands of the Western Caribbean are less likely to be affected by hurricanes than those of the Eastern Caribbean. The Dow Jones Island Index ranked Curacao as the Caribbean island least likely to be hit by a hurricane, followed by Bonaire, Grand Cayman, Barbados, and Aruba. Overall, says Sheets, Caribbean visitors have just a 2 to 3 percent chance of being affected by a hurricane during a one- or two-week trip. The Atlantic hurricane season runs from June to November, usually peaking in September. With all the attention on the damage caused by Hurricane Katrina, compare the hurricane risk for the Caribbean to New Orleans, which historically has a 12.5 percent chance of being affected by a hurricane in any year. Ironically, while Katrina focused the attention of every American on the damage that hurricanes can cause, the record number of storms that formed in 2005 did relatively little damage in the Caribbean. What's a Tropical Storm and Hurricane Watch or Warning? Meteorologists tracking Atlantic storms like those that affect the Caribbean issue an official "tropical storm watch" when a tropical storm threatens to impact a particular geographic region within the next 48 hours. A "tropical storm warning" is issued when a storm is expected to hit within 36 hours. Similarly, a "hurricane watch" is issued when a hurricane is expected to hit land within 48 hours, while a "hurricane warning" is set when a hurricane looks likely to hit a designated geographic area within the coming 24 hours. These advisories are often accompanied by calls for the evacuation of coastal areas expected to be impacted by the storm, which includes high winds and flooding. 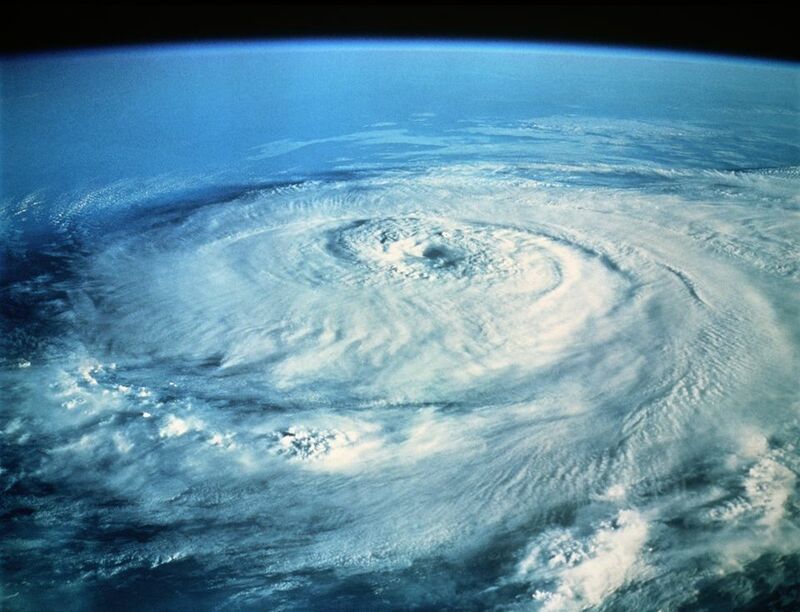 The Atlantic hurricane season averages 14 tropical storms and eight hurricanes per year. In 2017, there were 17 named storms and 10 hurricanes, including six powerful storms rated as Category 3 or higher. 2017 also had two Category 5 hurricanes that made landfall, including Hurricane Maria which caused catastrophic damage to Puerto Rico and Dominica, and significant damage to Cuba, the Dominican Republic, Haiti, the U.S. Virgin Islands, and Guadeloupe. Obviously, luck plays a role in which islands get hit, and when. But again, the odds strongly favor a storm-free Caribbean vacation, even if you travel in peak hurricane season.